Although there are debates on whether pensions are better than other retirement plans offered to workers, the safety of a well-funded government pension cannot be understated. Most pensions are structured in such a way as to be available to workers who paid into the retirement system over a period of time, and remained employed by the same employer long enough to vest into the retirement system. However, different pensions may have different eligibility requirements, and pensions available to veterans and their survivors have different eligibility criteria than most standard public sector pensions. Most notably, a Department of Veterans Affairs or VA pension is not available to all veterans who have served. A VA pension is needs based and is available only to those veterans with a financial need, who served active duty, and who meet other age or disability restrictions. There are also limitations on the veteran’s net worth, with some limited exclusions, for example, the home a veteran inhabits is not always included as part of the net worth. In calculating a veteran’s income for VA pension eligibility, the income of eligible dependents is also taken into consideration, as well as dividends from investments, and payments from other retirement accounts. In addition to the basic pension benefits, there are additional benefits that a veteran may be entitled to if he is disabled and in need of assistance for daily tasks, or homebound. 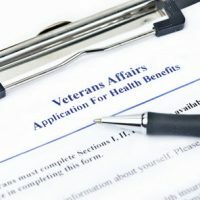 These additional benefits are not separate VA pensions and therefore have the same eligibility requirements as a basic pension, and cannot be received unless the veteran is already collecting a VA pension. Because of the limitations on a potential claimant’s net worth, veterans are sometimes advised to put their assets in financial products such as trusts and annuities in order to reduce their assets. The VA does not expressly rule out such planning as long as it is not done after the application process has begun. Unfortunately, when consulting with some businesses or individuals about estate planning and qualifying for a VA pension, some veterans and their survivors may wind up in a worse situation instead of more secure in their long term financial plans. This is because some financial advisors and attorneys offer financial products and advice that often comes at great expense and is not necessarily in the veteran’s best interest. For example, if a veteran puts their money in a trust or annuity, and later needs funds for medical expenses, he may not be able to access the money, or may only access it at great cost. When applying for a VA pension, it is best to use an attorney or business that is accredited by the Department of Veterans Affairs. This can reduce the risk of being scammed into purchasing unnecessary or risky financial planning products or tools that can endanger your retirement savings. For more information on how you can apply for a VA pension and any additional pension benefits, and to discuss your general estate planning needs, contact an attorney at the Millhorn Elder Law Planning Group located in The Villages, Florida, for a consultation today.